#UniteForTheHerd on World Elephant Day! 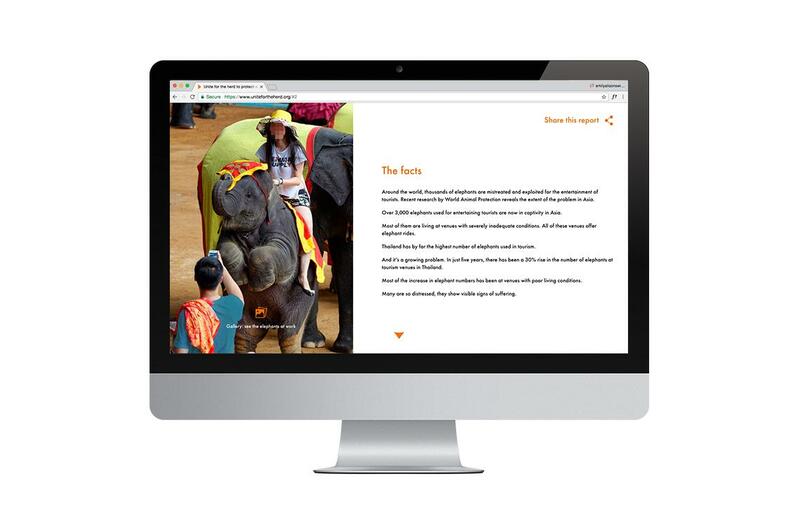 Using powerful photography and shocking statistics provided by World Animal Protection, Haft2 designed a visually-compelling microsite that tells the story of cruelty to elephants in the tourism industry. 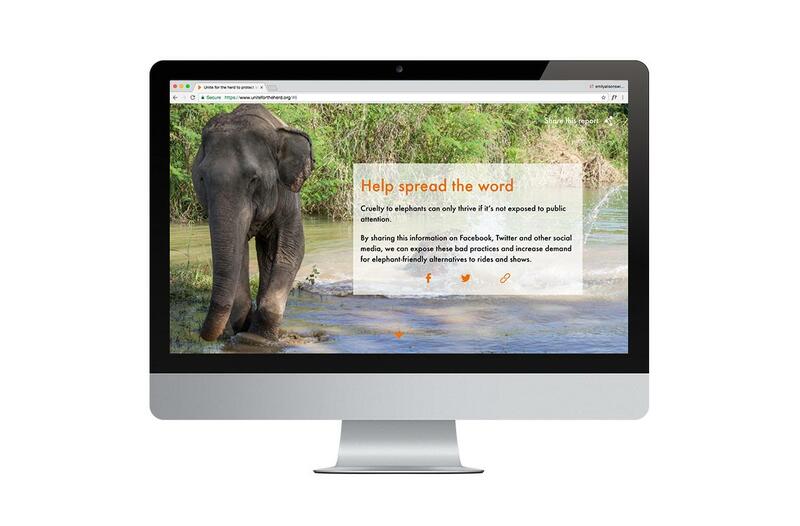 We created a global campaign in eight different languages, which aims to spread awareness of the plight of elephants and encourage people to #UniteForTheHerd and be mindful of their choice of vacation activities. In the first two days post-launch, Twitter reported reach of 203,661 accounts and received 363,468 impressions. With sixteen separate microsites in nine languages around the globe, the report’s launch garnered coverage by over 90 media outlets within the first two weeks, and traction continues to grow. This Saturday, August 12th marks the sixth annual World Elephant Day – a day that was launched to bring attention to the plight of Asian and African elephants. 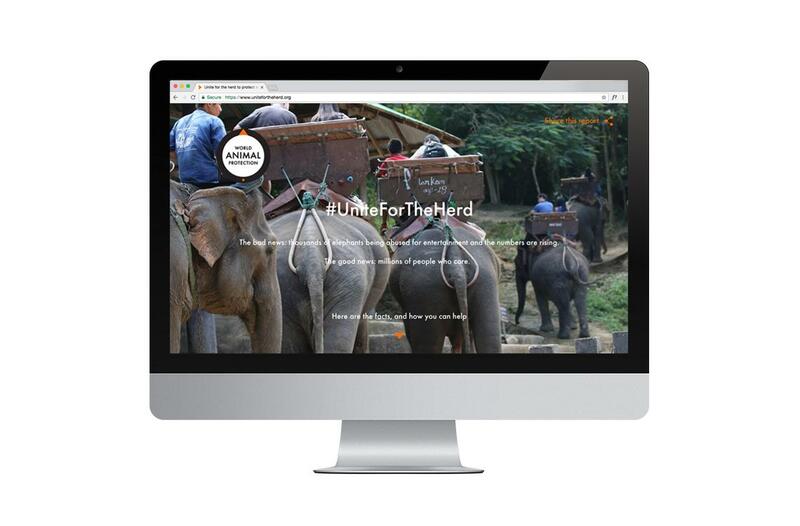 Check out www.unitefortheherd.org to learn more and to support World Animal Protection’s efforts to help and save these gentle giants.